Anomalous position of the gallbladder is relatively rare and has been reported only in isolated case reports. We tried to determine its ultrasound (US) findings on the basis of 18 such patients. In the left-side gallbladder group (nine patients), the gallbladder was imaged as an oval cystic mass in front of the pancreas. In all patients, the narrow neck of the gallbladder was clearly detected by US in the usual location before the main portal vein. Four of nine patients had small gallbladder stones. The retrohepatic gallbladder group (four patients) showed marked atrophy of the right lobe of the liver. Two patients had multiple gallstones in the bile ducts of the right lobe. All patients in the suprahepatic retrohepatic gallbladder group (four patients) were cirrhotic, and the anterior segment of the right lobe was markedly atrophied. In the intercostal scan, the gallbladder mimicked a perihepatic fluid. In the floating gallbladder group (one patient), the gallbladder was imaged as a cystic mass in the anterior abdominal wall. 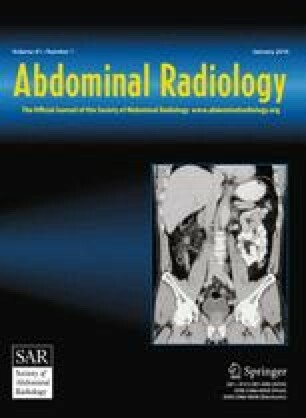 Surgical intervention showed a severely inflamed gallbladder, with small stones adhered into the anterior abdominal wall and partially ruptured. Knowledge of the wide range of US findings of malposition of the gallbladder helps in avoiding misdiagnosis.